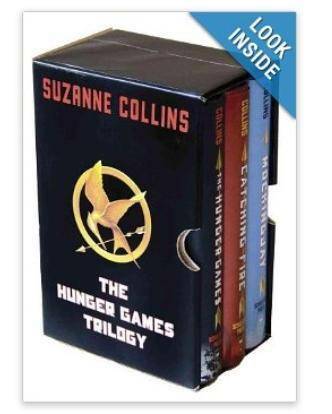 The Hunger Games Trilogy Boxed Set Hardcover only $27.94! Home / Deals / Online Deals / Amazon Deals / The Hunger Games Trilogy Boxed Set Hardcover only $27.94! Here is a great gift idea for any fans of the Hunger Games or for someone who has wanted to read them! Right now you can get The Hunger Games Trilogy Boxed Set Hardcover for just $27.94, down from over $50! When you break down the price, you will pay only $9.31 per book which is great for a Hardcover and you will not find them individually that low! The Paperback Trilogy is $22.94, so you also have that option for a little less! Mickey Mouse Fly N Slide Clubhouse only $19.99! Toys R Us Doorbusters Tomorrow! 24-26″ Bikes $59.99!